Ok..I'm jumping on the Rosie O'Donnell heart attack bandwagon! I know it was a very publicized event, but I believe it was rightfully so. One, her attack reminded us of the high risk of heart attack in women. Also, her story shows us many things we should and should not do, in that situation. In case you have not been reading this blog previously, I constantly reiterate that heart disease is the number one killer of women. Not cancer. Heart disease. 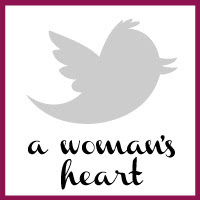 I believe that Rosie's heart attack story reminds us that we too (as women) are just as prone to heart attacks as men, and we need to be very cognisant of our bodies and symptoms. We get so wrapped up in our lives and stresses, that we sometimes fail to realize that the "nausea, sweating and not feeling good" are actually symptoms of a heart attack. 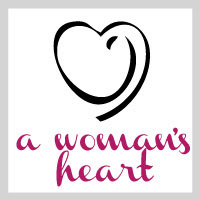 Women may have typical symptoms of a heart attack including chest pressure and left arm pain, but a lot of times our symptoms are "atypical" meaning that they are not what many people think of when they think "heart attack". Many women have chest pain, but may also have jaw pain, back pain, nausea, vomiting and excessive sweating. My friend learning her "numbers"! Knowing your risk factors is also very important. Sure, if you are 30 years old, do not smoke or drink, have normal cholesterol and blood pressure and no family history of heart disease, your risk is very low (although not zero). However, you need to know your numbers in order to know your risk of having a heart attack. There is no way to know your risk factors without getting them checked! It is so important to have an annual physical with your doctor to get your blood pressure and labs checked and to have a discussion about your risks for heart disease. Now, what did Rosie do right? Well, she suspected that she may be having a heart attack. She was experiencing nausea, vomiting, clammy skin, chest discomfort and sore arms. Actually, she thought enough of her symptoms to take an aspirin (which may have saved her life). What did she do wrong? After googling "symptoms of a heart attack" and realizing that she had pretty much all of them, she still waited 24 hours to seek treatment, She went to a cardiologists office, who did an ECG and noticed abnormalities. She subsequently was transported to the hospital, where she had a catheterization and a stent placed in one of the main arteries in her heart.